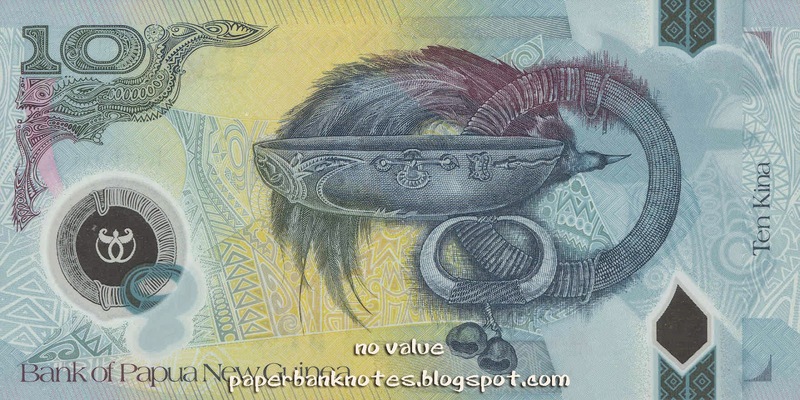 These are reprints of the current Parliament series of 2, 10 and 20 Kina. 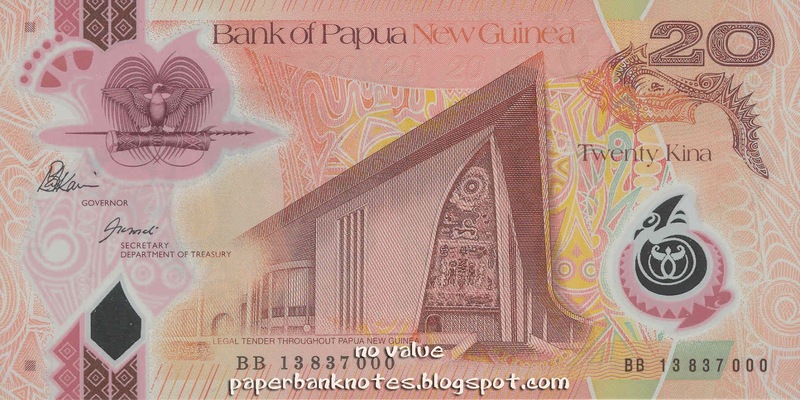 The Parliament series was first issued in 2005 when the 100 Kina was first introduced. These three notes were released in November 2013. These notes bear the signatures of Loi Martin Bakani (Governor) and Simon Tosali (Secretary, Department of Treasury). 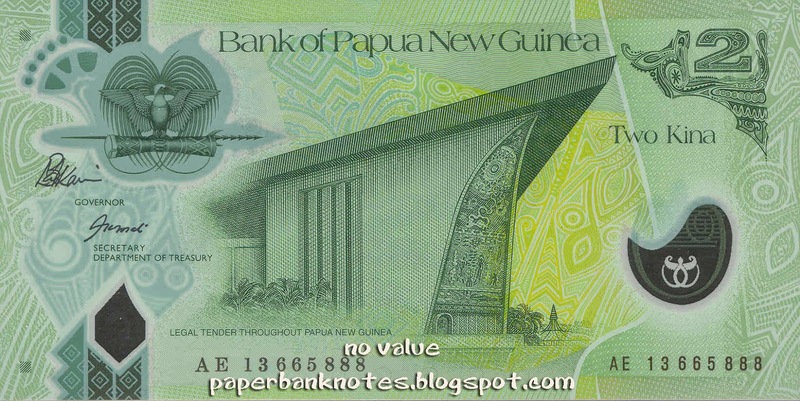 Apart from these, in 2013 the Central Bank also issued two commemorative notes of 2 and 100 Kina with commemorative logo printed on the front of the notes. 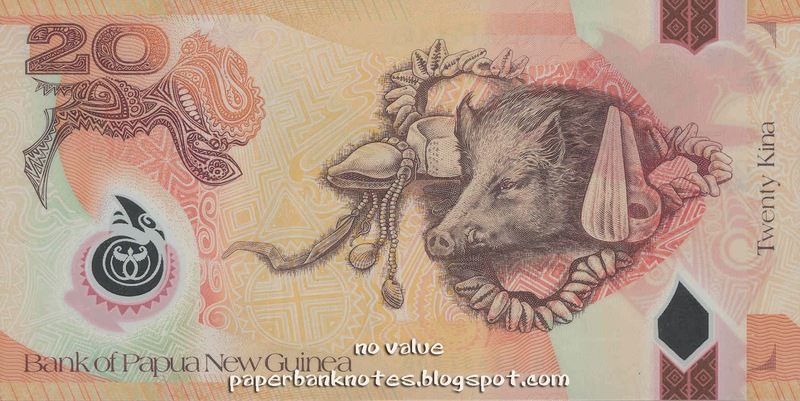 These two notes were issued to celebrate the Central Bank 40th Anniversary.